There was no way to prepare yourself for the explosion or fire. You might have had an idea about what was going to happen a few seconds in advance, but there was no time to protect yourself. Now, you are left scarred and burnt, and with a ton of medical bills that will not stop coming. In addition to your physical pain, you are left with emotional scarring as well. When you have found yourself the victim of such an accident, the team of fire and explosion attorneys at Kurasch & Klein will be there to help. CONTACT KURASCH & KLEIN HERE, or CALL 312-372-7250 – THERE’S NEVER A CHARGE UNTIL WE WIN! 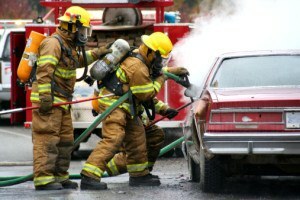 When to Contact a Chicago Fire & Explosion Victim Lawyer? As your team of injury lawyers in Chicago, we can help you fight for justice for those who are at fault. Contact our fire and explosion attorneys at Kurasch & Klein today. To be out of a job or unable to work in these times can make life and its financial obligations unbearable. When you were the victim of an accident like this, our team of fire victim lawyers will be completely committed to your case from the very start. We know how important your case is when your livelihood at stake. Contact us today to discuss your case and to put us to work helping you.